The Al Farooq Omar Bin Al Khattab Mosque and Centre (AFMC), located in the heart of the Jumeirah district, will host renowned reciters from across the Middle East during the month of Ramadan. Sheikh Dr Fares Ali Al Mustafa, Religious and Cultural Affairs Advisor, AFMC will be joined by three well-known reciters from the Kingdom of Saudi Arabia and Bahrain to lead the Tarweeh & Tahajjud prayers during one of the most important and reflective times in the Islamic calendar. Extending Emirati tradition and hospitality to members of the community, a large, air-conditioned Iftar tent has been set up at the AFMC to cater for 45,000 meals. The Mosque & Centre will also receive non-Muslim delegations over Ramadan to teach them about the core values of Islam and experience the essence of the Holy month by taking part in the Iftar meal alongside Muslims. 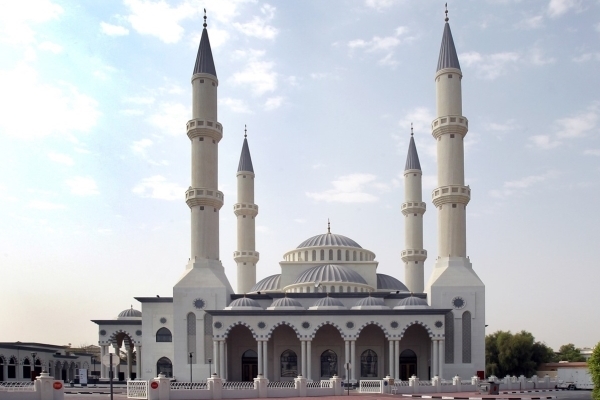 The mosque and centre has already scheduled evening cultural programmes for several groups including diplomates (19 May 2018); the Italian community (22 May 2018); students, parents and staff from Emirates International Schools (23 May 2018); and the Ukrainian community in Dubai (26 May 2018). Sheikh Dr Fares will also be broadcasting new episodes called Lytadabro Ayateh part of the social media campaign daily at 10pm. There will be live streaming of Friday payers, The Taraweeh prayers and Laylat Al Qadr prayers. Live streaming will occur daily over Ramadan and Eid. Abdul Salam Marzooqi, General Manager, Al Farooq Omar bin Al Khattab Mosque & Centre said, “since the opening of Al Farooq Mosque and Centre in 2011, the Mosque has played a crucial role in its strategic vision "to build a strong faith, knowledge sharing, and inter-cultural exchange."